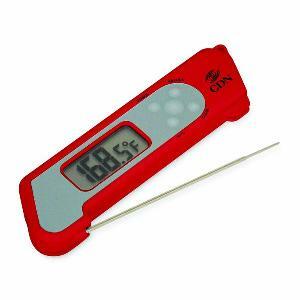 Prize: The CDN ProAccurate Folding Thermometer ensures you cook all your food perfectly every time. The digital thermometer provides an accurate reading instantly. This handy, folding thermometer is waterproof, easy to use, and easy to read. Statistics: This contest was opened by 127 and entered by 6 ContestChest.com members. 5% of those who opened the contest, entered it.